"How To Use the Powers of the Internet"
A lot of money is being made with the Internet and real estate information and this presentation will demonstrate how you can make it all work to serve your clients and prospects. We call it "working smarter not harder." Most of our seminars are sold out so register early with Sophie to ensure a spot. General Comments: Excellent information, great educational experience, opened my eyes to Internet use, love Gary's enthusiasm, very useful, a wonderful service with support system that is unparalleled, very good, great presentation. Relevance to your business: absolutely, very relevant, good, yes, excellent, very high, a necessity, very much, 100%, direct. For full time, part time, and retired salespeople. Growth of the Internet to over one billion people - How to reach out to them effectively. The Power of the Internet. Number of deals and types of deals being sold. How to reach principals effectively. Open and exclusive listings - a model that works. Public information versus private information. Don’t forget the buyers. Work the "Wants." Value added services appreciated by the public - information handling. Do you have the skills? Email - Information Overload Problems - Spam Solutions. Web Sites - Philosophy of a web site, without this understanding you still won't make money. Web Sites - Why they are like billboards, how they all can make you money. Working the "Wants" It's half the marketplace. Some of the biggest deals start from the Wants. See how and why. Fraud on the Internet - What to watch out for. Technology on saving money world wide phone calling free, and more. Tools for a "Broker's Information Tool Box"
Gary Nusca, CCIM has been in the real estate business since 1972. He studied engineering in university. He has owned, managed real estate on his own account and has managed real estate brokerage offices, marketed new home subdivisions, commercial real estate and has been involved in over 1,000 transactions. He started his CCIM education in 1985 and obtained his CCIM designation in 1993. He is Past President of the Central Canada CCIM Chapter, Past Chairman of the CCIM International Commercial Real Estate Conference at the Westin Harbour Castle Hotel in Toronto 1999. He has participated and has participated and helped run many Have and Want Marketing Sessions where in some cases over two hundred million dollars have been presented over a one and two day period. He is also an Accredited Mortgage Professional AMP. Since 1990 he has specialized in helping registered real estate brokers and salespeople make money using computers, information technology and the Internet in the commercial real estate business to serve the public. His company was the first on the Internet for real estate in 1994. It was his vision to explore and develop technology and the Internet as a major benefit to the real estate industry. Real estate investment clubs and groups. Numerous real estate company seminars and presentations. Commercial real estate organizations, groups, etc. Residential and commercial real estate offices too numerous to mention. Today his company ICIWorld.net is one of the largest in the world, with literally tens of thousands of unique viewers, over million hits per month, with 50-100 listings per day coming on line, over ten thousand of EMails distributed daily. There are over thirteen computers doing various things with the main server in San Jose, California. Programming is by a former senior search engineer from the Nortel Corporation. There are several hundred members reporting deals regularly. He is going to share his insights into the business and the exciting opportunities that the Internet and information technology present to the commercial real estate industry . . . worldwide. He has served on the Executive of the Central Canada CCIM Chapter for many years and has offices in Toronto and Hamilton and is engaged to be married. Has one son who is attending university in an honours business program. 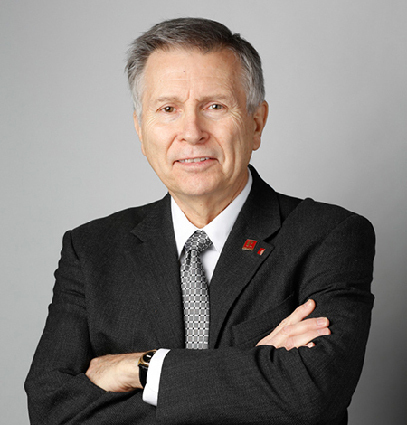 Gary Nusca, CCIM is available by EMail or by phone 416-214-4875. Great Organized Presentation, Meaningful, "Box Busting," dynamic, passionate, dedicated, exciting, appears worth trying, good info, opens your mind to think out of the box, good class, just super, very good. Important, very, very relevant, can be, good, excellent, everything - you opened my eyes bigger than they have been, we'll see: may be the way for me to leverage my skills and experience. You were able to get me very interested in adding your service to our "tool box"
A lot of money is being made with commercial real estate and residential real estate information and the Internet. This presentation will demonstrate and teach techniques and provide skill talents on how to take advantage of the Internet. The bottom line is it helps you provide better services for yourself, make money, provide great services to the public and others and helps you work smarter not harder.